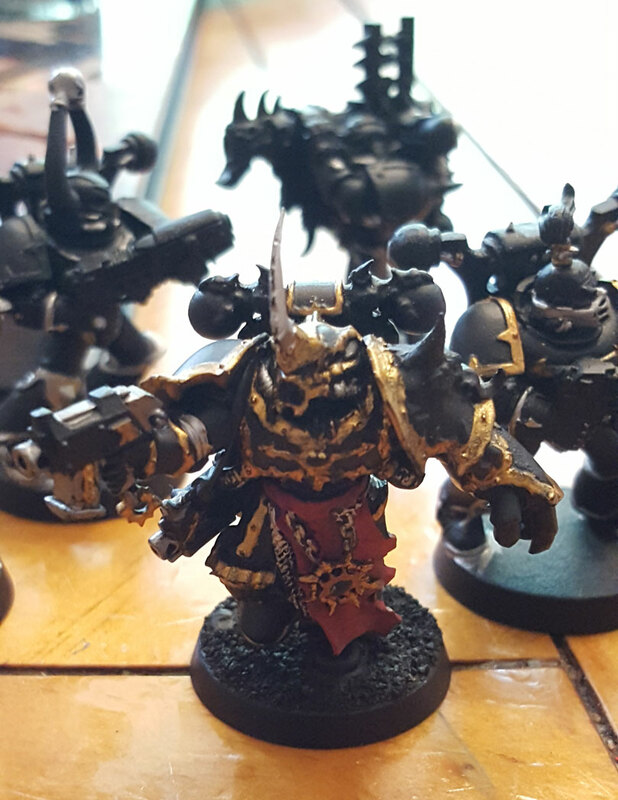 Just a quick update on the Black Legion squad. I’ve got some the base colors down on the trim and details. It’s slow going, as the past few days have been busy with real-life stuff. Made some progress on the squad. Each is in a different stage of completion. So, unlike my normal style, I haven’t stayed with the assembly line approach on these guys. I started it with the Chainmail trim painting, but then kind of wandered off the reservation when I got to the champion. The model has so much detail, relative to the other models. It’s amazing. I mean, I knew it was detailed when I put it together and stuff, but putting paint on it really brings it home. This model is loaded with detail, therefore more time-consuming to paint. I’m going to have to work on not obsessing about all the detail painting on this one. It’ll just take way too long. Still, it’s more of a challenge than the other models, and that can be fun. Or absolutely infuriating. Hopefully, it will be more of the former. 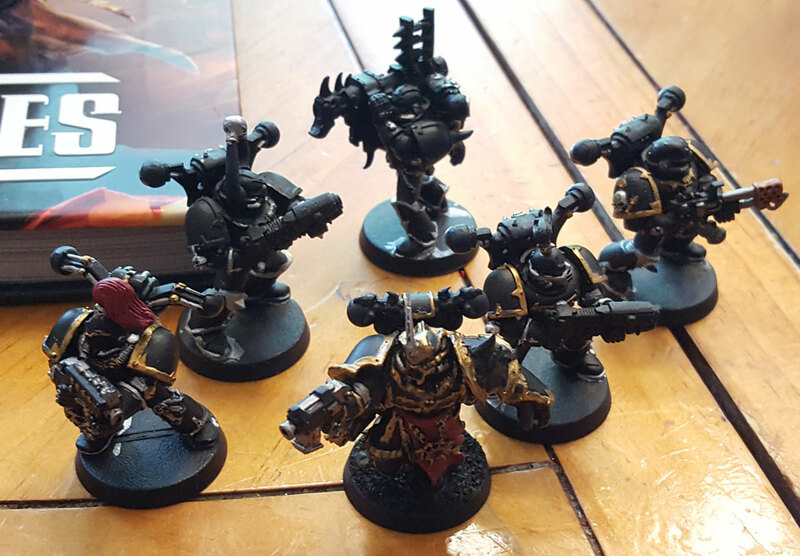 Overall though, it’s nice to be back to painting some Black Legionnaires in a squad-size group. It’s been too long since I’ve done that. I’m shooting for having these guys to the highlighting stage this weekend.